Custom Draperies for a Willowbrook client! 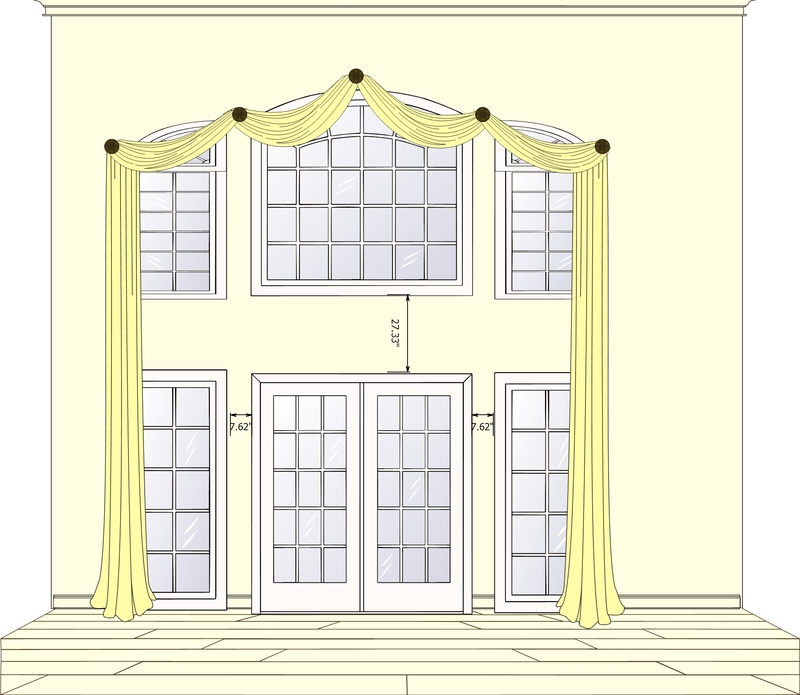 The illustration below is for draperies ordered for a client in Willowbrook Illinois! Keep the window open and not obstruct the view. Have swags to compliment the traditional style of the room. Keep it simple and not too ornate. Enhance the window, and the graceful arches. Designed the treatment to go around the window and kept the view unobstructed. The swags cross one another to create opulence, luxury, and richness without adding extras. The swag’s style is simple and works perfect with her existing furnishings as far as style and colors. The treatment work well with the window it self and it does not fight it. The arches can still be seen, and has kept their grace and beauty. The client is thrilled because the price was well under $4500.00! I love it when the client get a lot more than what they expect! And we are here to exceed their expectation! call us for free estimate(630)420-0800. This entry was posted in Custom Draperies Willow brook, Draperies Willowbrook, Willowbrook Draperies and tagged Custom Draperies Willowbrook, custom window covering Willowbrook Illinois, Custom window treatments willowbrook Illinois, Draperies Willowbrook Illinois by susangailani. Bookmark the permalink.